Dog stands with placard during the Wooferendum march in October last year. This comes after chief executive Peter Pritchard said late last year that Pets at Home had started importing more goods as part of no-deal Brexit contingency plans. Read more: EU subsidies: What will happen to UK farmers after Brexit? So how will Brexit impact our pet’s lives? 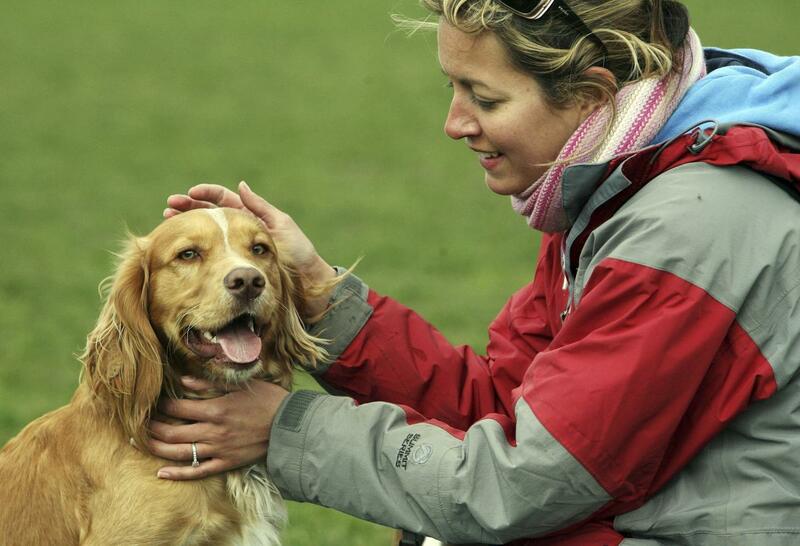 What will happen to your pet’s favourite food? And, what deal is best for man’s best friend? Michael Bellingham, the Chief Executive of Pet Food Manufacturers’ Association, answers some common questions. Could Brexit affect the price of our pet's food? 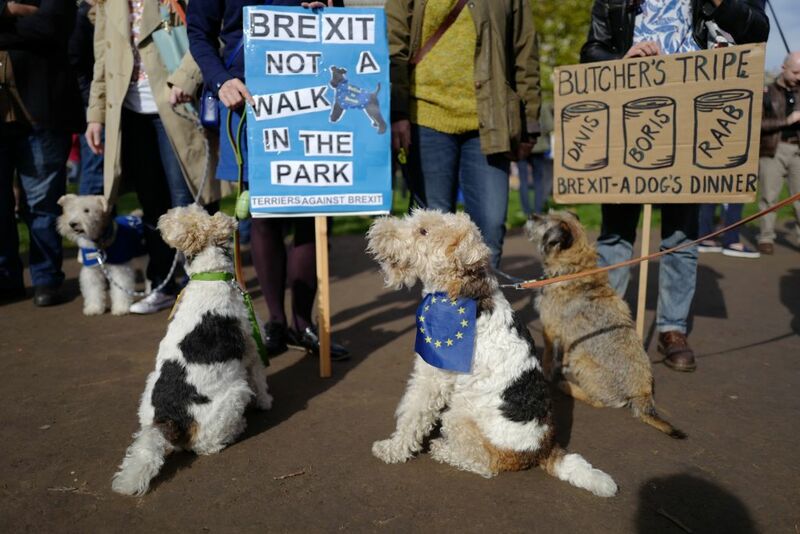 Dogs taking part in the Wooferendum march in October last year. “If you said that any pet food product could come in regardless of its safety and quality then we would not be able to compete, because the cost of us using the agricultural products in the UK is significantly higher. “That is because of our standards and animal welfare, which we require and are asked for by our consumers. “If that was done away with and people said that you could take whatever you wanted from the rest of the world, then that would have a hugely damaging impact on ourselves and domestic agriculture. How will Brexit affect the quality of British pet food? "It is about where we want to be as a global player in the future. Currently we have rules in the EU that dictate what materials we can use, how we manufacture and how safe it is. Those are some of the highest standards in the world. “If we were to mirror those and keep those and so we keep the high animal welfare standards that we have, or even improve them then that would be a really good outcome. How would friction at the borders affect pet food supplies? Pets at Home has announced that it is set to spend up to £8m on stockpiling pet food in preparations of a no-deal Brexit. “The vast majority of our members either export the finished project into the EU or import raw materials so having the ease at the moment of just putting a product on a lorry and off it goes and ends up in Bulgaria. “There is no paperwork and no stopping at borders. Anything that adds cost to that will obviously have a big impact on them being able to do that. “That is a major concern but clearly the intention is to have an agreement where those sorts of customs declarations and all the areas that provide friction are done away with. Clearly that would be a huge relief to our members, but at the moment it is us trying to understand where we are heading and obviously so is everyone else. “So, it is very difficult to advise my members on what they should be preparing for. We are saying to do get ready for every eventuality because we don’t know at the moment where this is heading. “Our members in Northern Ireland take materials from the Republic and transform it into their product, and then send it back across the border. Currently, that has no cost." What opportunities do new global markets bring? “If we are looking to be a global player and expand our markets, and if the Government puts the right support into doing it, then we can hugely benefit from that. “For our members, when 80% of their product is exported to the EU replacing all of that with other parts of the world is not feasible because of the geography of that.